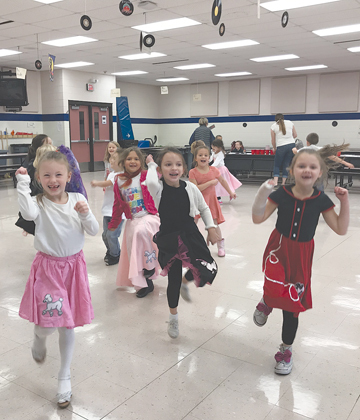 These first graders at Ella White celebrated their 50th day of school 1950s style, wearing poodle skirts to a sock hop in the cafeteria Thursday afternoon. 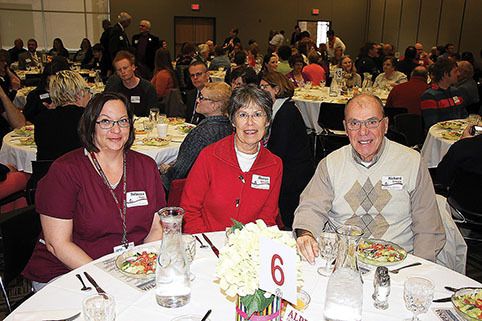 Pictured, from left, are Aria Wagner, Aavalon Muritok, Kenna Mousseau, Lelu Muszynski, and Mikayla Ritthaler, all in Polly Hunter’s class. Kindergarten, junior kindergarten and first grade classes participated in the festivities, which included root beer floats, a hula hoop contest and listening to a record player.